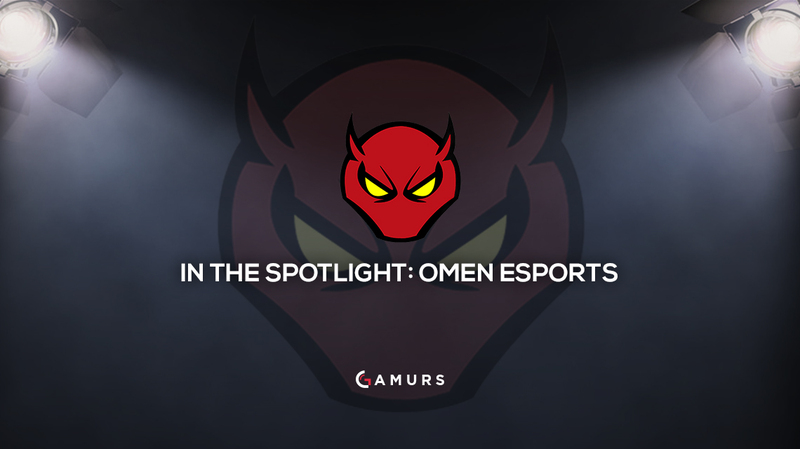 For our second “In the Spotlight” article, we will be taking a look at the Insomnia superstars of Omen Esports. Last week’s article got a significantly higher amount of social media love than I expected, and as promised, I am back with yet another fabulous team. For our second “In the Spotlight” article, we are taking a trip across the pond to the United Kingdom, and more specifially Great Britain, to take a look at a talented group of players who go by the name of Omen Esports. Standing tall on the shoulders of giants, steveO went to war in the IGUK LAN league every Sunday, flying the flag of a team named “Distinctly Skilled.” Under that banner, the team fought hard and won second place in Division 1, earning them a highly exclusive and thoroughly earned spot in the World Cyber Games Qualifier in 2004. Upon the release of Counter-Strike: Source, steveO lost interest in the game as the CS he knew and loved died with 1.6. With that, he moved over to League of Legends, while at the same time pursuing a sports coaching degree at the University of Bedfordshire. In the face of this, steveO couldn’t stay away from competitive CS, and upon the release of CS:GO in 2012, he created Omen Esports with the now-retired Matthew “Digsy” Byers and Joseph “Joey” Fleming. Over the ensuing years, steveO has worked diligently to keep a consistent roster on Omen, which has shown gradual progression year after year while minimizing roster changes. The team is ecstatic about competing in ESEA Season 24 EU Intermediate, with goals to progress to main for Season 25, in addition to competing at Insomnia 61 later in the year. Next up we have the 18-year-old shining superstar that is Craig “Nuclear” MacIntosh. Nuclear is a relatively new player with a bright future, having started playing CS:GO at the beginning of 2015 when a friend showed him a frag movie of his best shots. From that point on, Nuclear was determined to make it to the top, and like any other player, started out by earning his dues in matchmaking and developing his rank and skills. He swiftly came to the realization that matchmaking alone wasn’t going to get him to the top of the mountain and began playing on team after team in his quest for the gold. Prior to joining Omen, Nuclear was a player on British teams such as Fragment Esports, EcHo Gamers and EvaDe Esports, with his first major team being Fate Esports. When this team faded away, he stuck with one of the players, who in turn took him to CAZ Esports’s academy team, CAZ Blue. Shortly thereafter, Nuclear was approached by Omen’s Mark “Sleepy” Williams, who had most recently attended Insomnia 58. There, he came into contact with Omen Esports, who let him know that they were looking for a fifth prodigy to join their ranks. Nuclear quickly took up the offer of becoming Omen’s rifler, qualified for ESEA IM Season 24 and attended Insomnia 59 under his newly found team’s flag. His future goals are to build upon his recent successes, as well as to attend more LAN events like Insomnia 61. Apart from CS, Nuclear also attends college, where he is working on getting his degree in software development. Mark “Sleepy” Williams is the 17-year-old rifler/AWPer for Omen and the youngest virtuoso of them all. His experience with CS:GO dates back to late 2013 when a group of DayZ friends introduced him to the game. He was instantly hooked to the game and dreamed of making a dent in the competitive scene. Throughout his four year journey, Sleepy has been put through several tests and teams that have failed, but within the past year, things have begun to look up. The first proper and long-lasting team Sleepy played on was CAZ Esports, which was a great experience while it lasted. Much to his dismay, however, the team disbanded and he was once more a lone wanderer on the road that is competitive CS:GO. He was not alone for long, fortunately, and he was shortly contacted by a team known as SpaceBound, with whom he attended his first LAN, Insomnia 58. After Insomnia 58, he was hunted down by steveO, who saw potential in him as a rifler and AWP, which led to him joining Omen. During his time with Omen, Sleepy has played in ESEA S23 UK Open and attended Insomnia 59. Jack “Wagle” Waghorn is the lurker for Omen and has perhaps the least amount of experience, having started playing CS around three years ago. This doesn’t mean Wagle is new to competitive games, however, as he once competed in Call of Duty at a young age. During his CoD career, he took part in several leagues, such as GameBattles, where he placed as high as ninth in Europe with his team in the late stages of Modern Warfare 2. College did not only offer Wagle an opportunity at higher learning but also at better gaming as he moved on to PC gaming. His first meeting with Counter-Strike came from a streamer friend of his who he accompanied in many DayZ matches. At first, the competitive side of the game didn’t show itself to Wagle as he started off playing the game casually. After approximately one year of letting the game accumulate dust on a shelf, he picked it back up and began his competitive adventure with FACEIT and Valve matchmaking. A few months in, he met a new group of people that helped him improve his in-game skill to astronomical levels. After going their separate ways, the group was later reunited and they asked Wagle to join their team, which is where Wagle’s competitive career really began to take form. The core roster of the team consisted of Wagle, James “reV^” Power and Ruairi “Spat” Evans. The three stayed together for about a year, going through several team names, such as Team Orion, UCGL and Radix. Eventually, the team evolved into Equation Gaming, which consisted of Wagle and Rev, as well as MK “-Hawk” Blooma, Karl “K4rly” Pullen and Mike “zinked” Berry. This lineup lasted for quite a while, managing to make a few ripples in competitive UK CS:GO, and even finished fourth at the Ballistix UK Masters Tournament. This roster later attended their first LAN at Insomnia 58, where, despite admittedly mixed results, they all agreed they played well overall. Despite such good results, they all decided it would be better to part ways after the LAN due to jobs and university taking an increasing amount of time. Wagle’s competitive spirit was still alive, however, and he began looking for teams. During his search, he came across the opportunity to join Omen Esports, who he had played against multiple times in both ESEA and GAMEFACE. Overall, Wagle is pleased with the team’s achievements, and, much like steveO, agrees that they are progressing really well. With the upcoming season of ESEA, as well as future LANs, it is clear things are looking up for Omen. He particularly enjoys the team’s “mixture of old and new talent,” which he believes makes competing really exciting. His future goals are to make it into ESEA Main, as well as Insomnia 61. Much like his teammates, Wagle has a life outside of CS:GO, where he is either working at the local golf club or enjoying a taste of other video games with friends. Last, but most certainly not least, is the team’s 25-year-old support player, Ashley “shouty” Howlett. Much like steveO, shouty’s CS experience dates back 12 years, and ever since then, he has played the game intermittently at a high level. Despite a two-year hiatus from the game in 2014, shouty came back stronger than ever to CS:GO and began playing competitively for Omen Esports. Bearing the Omen flag proudly on his chest, shouty has attended four UK LANs (Insomnia 55, 56, 58 and 59) and has seen major improvements with each LAN. He is particularly anticipating the ESEA Season 24 Intermediate Division and welcomes any challenges 2017 will offer with open arms. What are your thoughts on this roster? 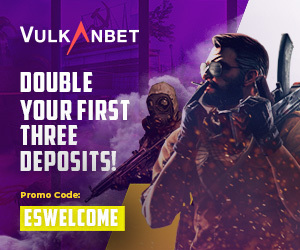 Let us know by commenting below or tweeting us @GAMURScom.